The fall axe throwing league has come to an end and each city participating in The World Axe Throwing League Championship has crowned a local resident as the best axe thrower in the City. These local axe throwing champs will be competing in the first ever World Axe Throwing League Championship. Tonight, Wednesday December 13th we’re going to be live-streaming the World Axe Throwing League championship on WATL’s Facebook page. Participants are competing against members all over the world, gunning for the title of World Axe Throwing League Champion and a grand prize of $3500. Urban axe throwing is exploding across North America and the world – this will be the first and largest global championship in history! Axe throwers are ranked based on points, the higher the points the higher the ranking. The axe throwing league participants vary from club to club and consist of young, old, female, male, athletic, not athletic. There is no previous skill or requirement for joining a league. 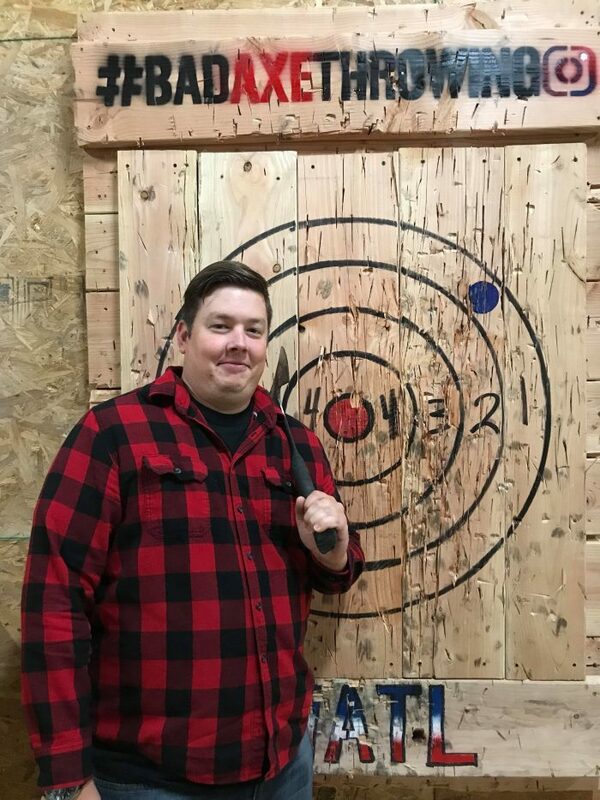 Here’s a photo of Eric Prater, the axe throwing champion of Oklahoma City. He will be competing in this year’s World Axe Throwing League Champion. 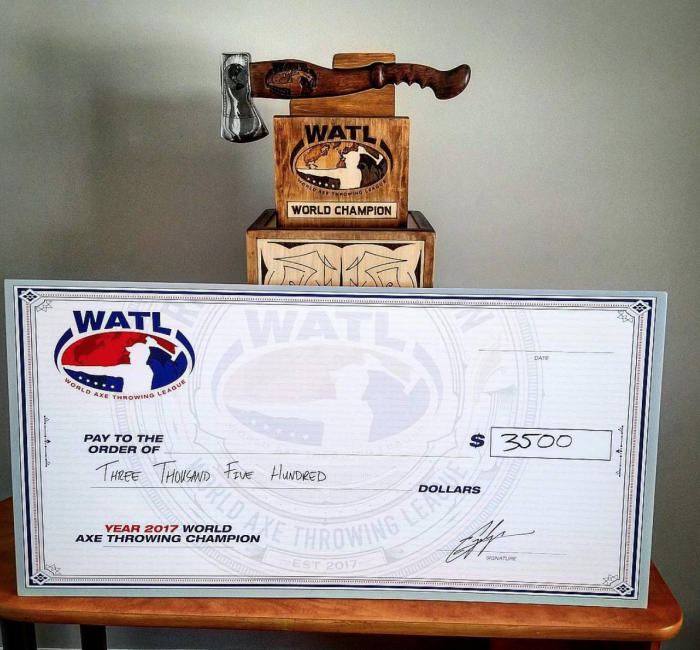 Be sure to tune into WATL’s livestream of the first ever World Axe Throwing Championship tonight!